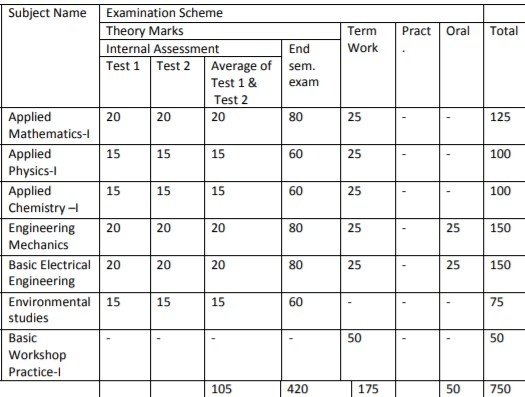 Engineering Syllabus Mumbai University Revised - Padhaee "
First year engineering semester 1 syllabus – The syllabus for the first year engineering F.E for Mumbai University Bachelors degree course has six main subjects and a practical workshop lab.This is an extremely hard year and being the first semester you need to work extra to clear these main subjects.Watch out for mechanics and Applied Maths 1 , they are absolute killers and if there is a high chance you will end up with ATKTs in F.E. DO NOT under any circumstances, try and cover all the topics here ,leave out 25% in all subjects,and the rest 75% be a master of it. If you try and be a hero ,you will fail. 1.1.Powers and Roots of Exponential and Trigonometric Functions. of ? and Expansion of sinn?, cosn? in powers of sin?, cos? 1.3.Circular functions of complex number and Hyperbolic functions. and imaginary parts of all types of Functions. 2.2. Successive differentiation: nth derivative of standard functions. vectors. 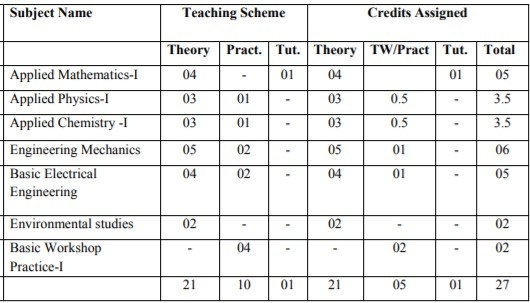 Application of inverse of a matrix to coding theory. differentials, differentiation of composite and implicit functions. method and Regula –Falsi Equation. Schotkey crystal defects; Ionic crystal legancy (3,4,6,8); Liquid crystal phases. sludge process), Numerical problems related to COD. Preparation, properties and uses of Buna-S, Silicone and Polyurethane rubber. Fullerene – properties and uses. Theorem. Force couple system. Distributed Forces in plane. 1.2 Centroid for plane Laminas. non-parallel general forces and Couples. parallel force system and non-concurrent non-parallel force system. system, parallel force system and non-concurrent non-parallel force system. plane, Application to problems involving wedges, ladders. Applications on equilibrium mechanisms, pin jointed frames. momentum. Law of conservation of momentum. Impact and collision. theorem, Mesh and Nodal analysis). power and power factor, series and parallel resonance, Q factor and bandwidth. measurement of power by one and two wattmeter methods. diagrams, equivalent circuit, OC and SC test, regulation and efficiency. construction and classification of DC machines, emf equation. • Global crisis related to – Population, water, sanitation & Land. • Study of ecosystems: Forest, desert and aquatic (in brief). • Concept of ecological succession and its impact on human beings (in brief). Case Study on Chipko Movement (Uttarakhand, India), (began in 1973). • Concept and Definition of Sustainable Development. • Social, Economical and Environmental aspects of sustainable development. • Resource utilization as per the carrying capacity (in brief). Photochemical Smog (Explanation with chemical reaction). Venturi scrubber (Schematic diagram and working). • E-Pollution: Definition, Sources and effects. • Nuclear pollution: Sources and effects. Case study on Water Pollution of Ganga River. Case study on London smog (U. K.)(December, 1952). Case Study of Fukushima Disaster (March, 2011). • Functions and powers of Central and State Pollution Control Board. • Environmental Clearance, Consent and Authorization Mechanism. • Importance of renewable sources of energy. (i) Solar Energy: (a) Flat plate collector and (b) Photovoltaic cell. (ii) Wind Energy: Wind Turbines. (iii) Hydropower: Hydropower generation from water reservoir of the dam. • Various indoor air pollutants and their effects on health. • Carbon Credit: Introduction and general concept. (i) Earthquake and (ii) Flood. Case Study on Earthquake in Latur (Maharashtra, India), (September,1993).